Why Start an Art Collection? Home > Starting a Collection > Why Start an Art Collection? As discussed in other articles there are two primary reasons to start an art collection: enjoyment, in a way that is specific to the experience of viewing art, and investment. Of these two the first is more important initially as the collecting for investment is difficult if you don’t already have good insider knowledge, foresight and a lot of money. Philanthropic reasons: some people who are wealthy enough amass major collections which they open to the public in their own galleries, or donate to state museums. Collectors such as these include the Getty family and Charles Saatchi. This is done in the spirit of philanthropy and is both an investment in people, in society, and – rather cynically speaking – a financial investment in as much as it will bring fame and admiration to both the collector and their collection. Status: some people will collect in order to improve upon their status – a painting by an up and coming artist being a ‘must have’ accessory. 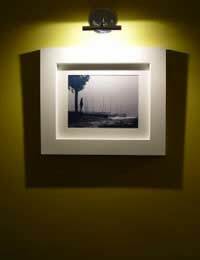 Business Kudos: businesses can improve their image by having fashionable or merely desirable artworks in their foyers and boardrooms. Whilst all of the above reasons for collecting are clearly primary motivators for starting and maintaining a collection, all of them could be applied to the collection of anything valuable – cars, designer shoes, money and so on. That is with one exception: the collecting of art for the genuine enjoyment of art is something that can only be achieved through the collection of art! For this reason it could be stated that the primary motivation for the collection of art would have to be a genuine interest in and appreciation of art. Philanthropy is also a sound enough reason for collecting art, but in reality a philanthropic gesture could just as well be made by donating anonymously to a charitable fund. The grandiose nature of displaying art for public enjoyment does imply a certain amount of self interest that, arguably, will alienate you from artists themselves, who, arguably, operate around some form of inverse snobbery! In this sense, collecting to make the world a better place, at any level, can almost certainly backfire, the reality being that people will mistrust your motives. Good art, as a rule, does make the world a better place and if you have a lot of it, it follows that you would like to put it on public display. The primary motivator, however, if you are to be a credible collector, is an interest in the art that you buy. Being a collector puts one in a peculiar position. It is in fact a unique situation, in that you actively seek to own that which cannot be owned – ‘art’. All the while, you may own specific artworks, which merely attest to your inability to master ‘art’ as an ideal in itself. A full recognition of this is central to getting the most out of collecting. Whilst being vigilant against collecting for the wrong reasons is also essential.